If you were dying to see some nice high-res shots of the Google Pixel 3 XL's innards, wait no more. 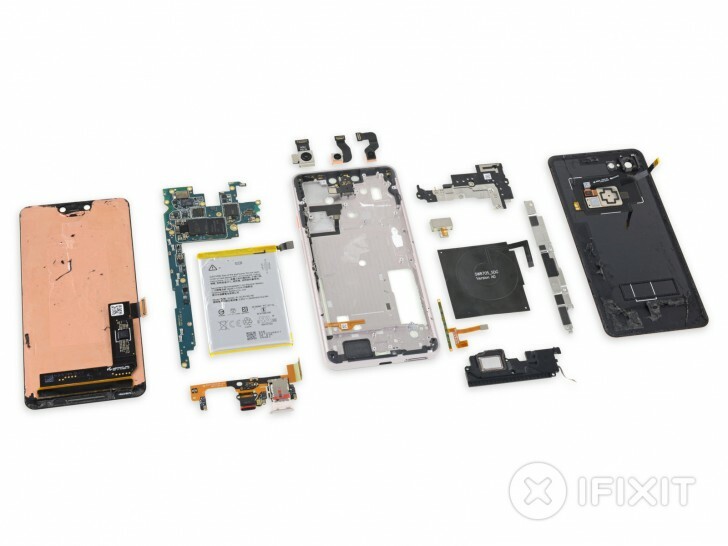 The teardown experts over at iFixit have once again done what they do best and picked the smartphone apart. The teardown has revealed that the display Google is using this year comes from Samsung (while the touch controller is the same part used in the Galaxy S9+). That's in contrast to last year, when the Pixel 2 XL's OLED panel was manufactured by LG. The switch of suppliers isn't at all surprising, however, in light of DisplayMate's evaluation of the Pixel 3 XL's screen. The company gave it its highest ever rating, one that is currently only achieved by four other devices - the Samsung Galaxy S9 and Note9, as well as the Apple iPhone X and XS Max. See the pattern? All of these handsets have screens made by Samsung. Anyway, back to the teardown. 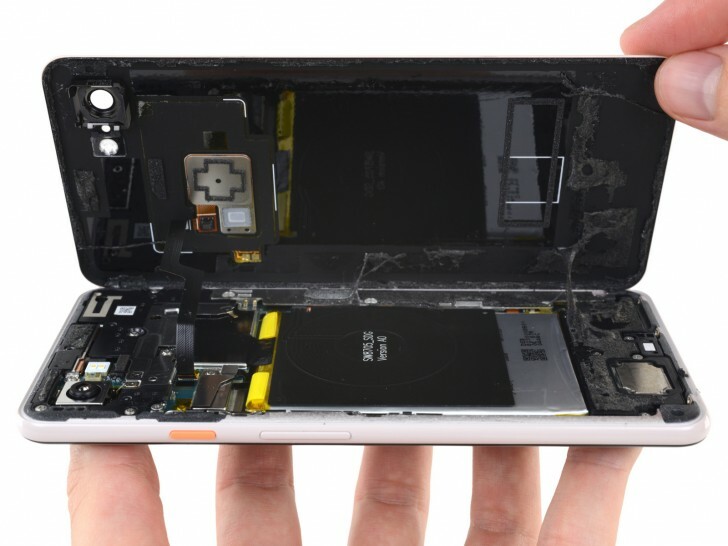 The Pixel 3 XL receives a 4 out of 10 repairability score - where a 10 means easiest to repair. The good news is that the only screws inside the phone are standard Torx T3, and there's repair-friendly stretch-release adhesive securing the battery. The not so good news is that O-rings and adhesives for waterproofing make repairs complicated (although they obviously also protect from water damage). The bad news is that display repairs require a complete dissasembly of the phone, while glass being used on both the front and the back of the device creates an increased vulnerability to drop damage. Finally, keep in mind that in order to service any component, you'll have to un-glue and then re-glue the glass rear panel - which isn't very easy to do because there's a lot of the sticky stuff holding it in place. Tough glue also keeps the NFC coil stuck to the battery, and the speaker housing affixed to the phone's chassis at the bottom. The speaker chamber's adhesive seal has to be broken to access any of the ports on the daughterboard (which contains the USB-C port, SIM tray, and some antenna hardware). The motherboard, on the other hand, has a lot of thermal paste on its underside, to help transfer heat from the chips to the metal frame.